So it's been far too long and of course it takes a couple of episodes of my favorite HGTV shows to get me inspired to get moving again! 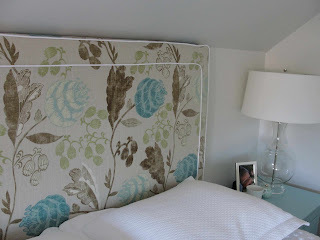 Our bedroom has been an ongoing project and we still have some finishing touches before it's complete - but I am thrilled with our new headboard and matching side tables. 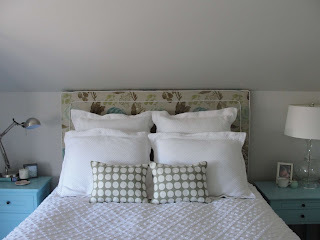 The side tables were a sad shade of pinky beige before they were spray painted Benjamin Moore's Tranquil Blue. 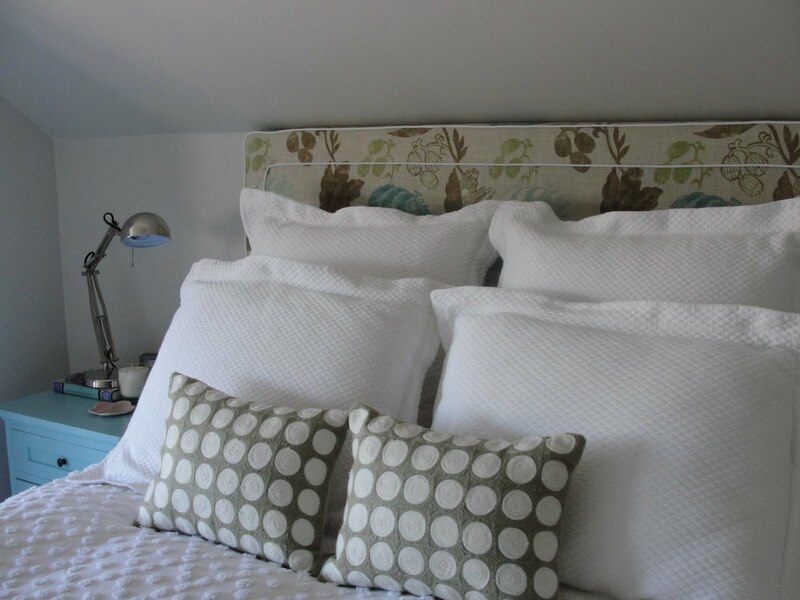 The headboard was custom from our local upholstery shop - it's perfect isn't it?